Available NOW! Fully Furnished Pool home. WATER VIEW! This beautifully furnished and spectacularly maintained POOL home is located in popular, gated subdivision Sunset Lakes, the paradise for both investors and residents. Look no further; this home comes fully furnished and features recently installed roof and AC unit. It also offers a bonus of the garage converted into a large den, which at present acts as an air-conditioned game room & lounge. The subdivision features a community pool, playground, a gazebo on the larger lake, and fishing dock. 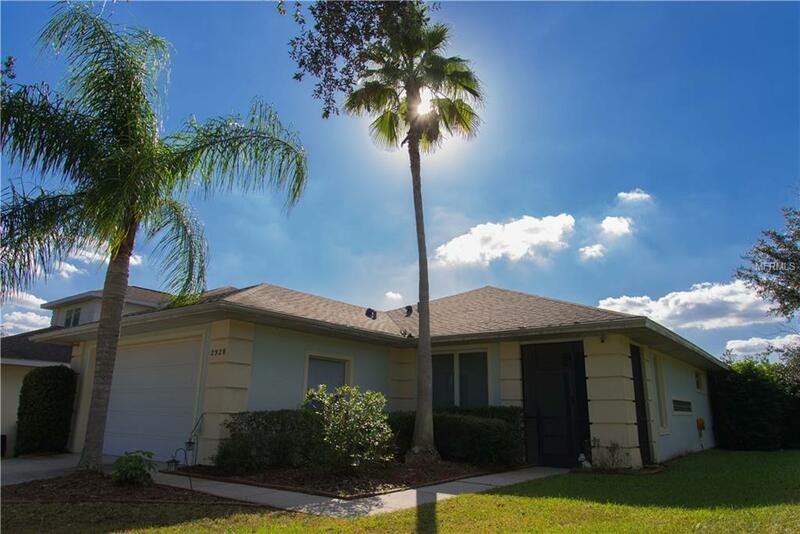 The home is minutes from US192, shopping centers, restaurants, and local attractions! Lawn and Pool maintenance is not included.